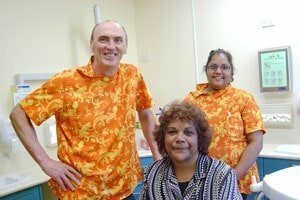 Filling the Gap is seeking dental professionals to volunteer at a community-controlled Aboriginal health services. Right now they have some great opportunities available for dentists and especially experienced dental assistants at two Aboriginal Medical Services, one in Broken Hill NSW and the other in Narooma on the far south coast NSW. They are looking for volunteers for two-week blocks throughout 2014 into 2015. Both of the Aboriginal services are in need of dentists and dental assistants in order to meet the high demand from their communities. There are long waiting lists for treatment and in some areas of the regions people are finding it more or less impossible to get any treatment at all. All the costs of travel and accommodation are taken care of through a partnership between Filling the Gap and the Aboriginal health services. Dental hygienists and oral health therapists who are willing to work as dental assistants can also apply, but give them a call first. To find out more, visit www.fillingthegap.com.au where you can apply directly on line, or call Bronwyn Crosby on 0428 088 742.